Thank you so much for dropping by and here's to hoping your night was peaceful. Thank you it was. I'd left the curtains open and fell asleep gazing at the quarter moon as the very strong wind moved dark cloud shapes across it. The sky seemed to me like a theatre backdrop, cloud-silhouettes on sticks like Thai puppets being moved across the stage. Of course the moon would be a puppet too, but I was peacefully asleep before she set behind the hills. Oh joy! - travel blog updates about Thailand are starting to appear! Your link asks your readers about their favourite place or experience in Bangkok. I think I might have replied to something similar before - I remember writing about a particular temple. But although you'll have noticed that I use the word "favourite" a LOT, I am really not temperamentally suited to this kind of of thing. It's like the questionnaire at the end of a cruise that asks which was my favourite port and my favourite excursion. So I'll just say instead (and again) that I loved and felt at home in Bangkok from my first visit and then knew I'd return. Every subsequent visit has been made for different reasons, and sometimes for one-off events that therefore wouldn’t usefully feature here as 'travel tips'. But for whatever reasons I returned there has always been some unplanned seredipity resulting in the most special, fun, amazing, extraordinary …and even deeply profound experiences. 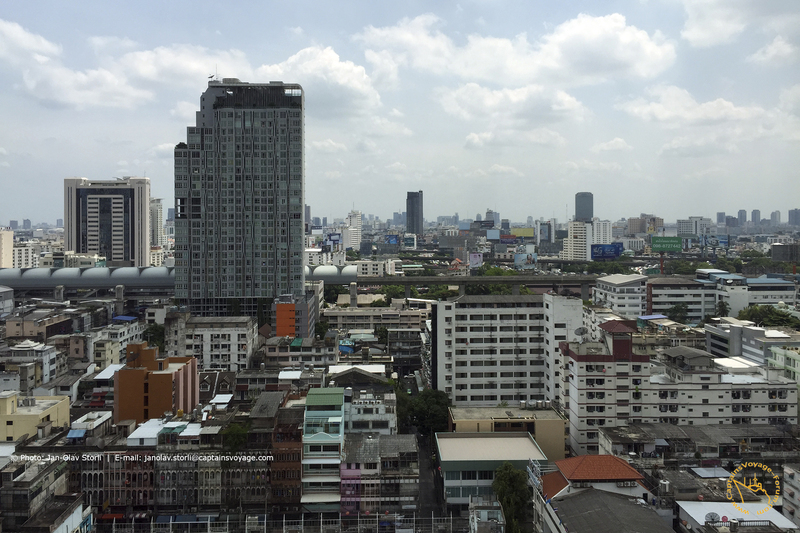 So while my Bangkok is "likely different from your Bangkok", it is as though they coexist, swirl around each other, and sometimes link together with a kind of worm hole through which I can pass in space and in time into your Bangkok. How else on my first hasty and totally unplanned day could I have found myself standing in the exact spot where you'd stood and were photographed in what you thought would be your final hours ever in Bangkok and Thailand? ...not to mention that I'd already come across your hairdresser!!!!!!! Only time to respond to one tonight, though I've read them all. Midnatsol's panorama lounge was called Polar I think, Narvik's Leyden, and Vesterålen's Fyret. 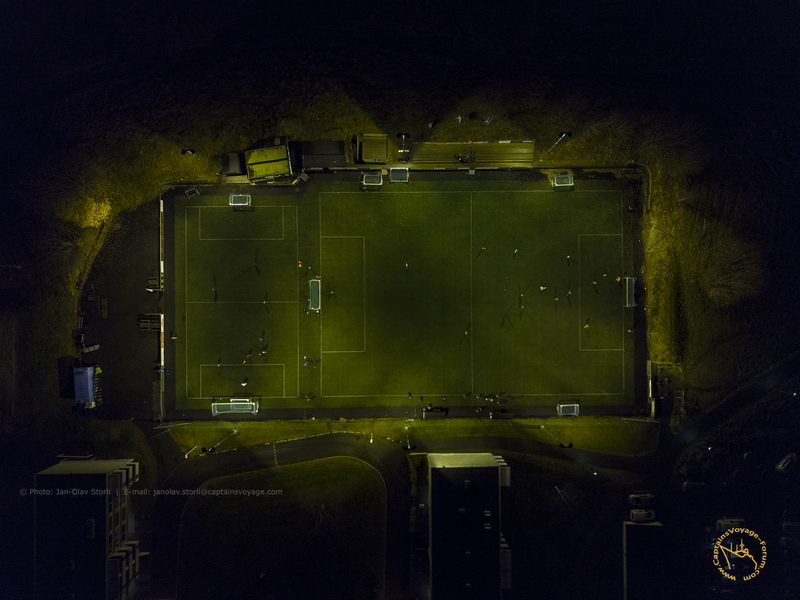 I'm so impressed by these drone-in-the-dark images . It makes me think that this must actually seem the darkest time of the year for you - short hours of daylight, but without the reflective blanket of white snow. Nice evening pictures from your walk with the drone.Picture taken with drone gives you a total different view of the landscape when you in a way is up in the sky. The day light is disappering and the winter is knocking at the door so we know what is ahead of us. That's enough complaining about the "system" for today. Anyway, my dear Lady C and Azimut - thank you so much for dropping by and for taking a moment to read! Wish you both a most wonderful day ahead - let's make the best of what we have! New updates on my bLOG the past few days - just in case. I've read all your blog updates, but the Spitsbergen-the-ship is the one I want mention. My comment is "Oh, you’ve beaten me to it!" And not only in having got aboard to look around - I haven't even SEEN her yet, despite numerous intentions that got overtaken by other plans or things happening. So I enjoyed seeing the extra photos in the ship's thread too. I'm fine with the modern interior style in this new-to-Hurtigruten ship, even though I am far less enthusiastic about the similar look on the totally refurbished ones (though admittedly I haven't yet visited those either). Don't worry. I am also still following. Stepping by from time to time - like you... - it is however then difficult to catch you up in time. So my comments do have some delay. But they come. Most impressing to me was no picture, but the term "WE went to the cinema". In the end you are not always the lonely wolf, as i am supposing??? But to be honest, it is always a pleasure to follow your post and steps. Just beginning with this thread, so there will be for sure some more comments. Dear Sir Ralf and Lady C... thank you both very much for your kind words and encouragements! I have again updated the bLOG with a new post (yesterday) - additional images will be posted in the Trondheim-thread in a moment! Surprisingly I've managed to keep up to date this week! Your c-gull views of Nidelven are delighting me beyond words, and mages in the Trondheim thread feel to me like a brilliant response to have made to the Photobucket Fiasco. Couldn't settle on an answer to your "what do you think is the best part of the city"! Of course looking at Bakklandet I wanted to answer that ...but then I like Ila, the coast of the fjord near Ranheim, the part of the city where they moved that wooden house, and the neighbourhood where I came across the Elephant laundry! I seem to discover new "best bits" on every visit! The Thai Airways is an absolutely great read, and I do like how you manage to be objective while at the same time expressing your own personal views and preferences. This was also timely subject matter for me, although I’ve never stretched quite as far as Royal First yet! Thank you fro everything: for reading and for letting me know how you felt about the newest entries! I would also like to say thank you for notifying me of that youtube problem, it was most likely a result of a copyright-infringement by my choice of music back when I originally made that film. Glad you enjoyed those latest images, was starting to get nervous they were not visible to other than myself. hahahaha... Bakklandet is certainly a great place in Trondheim, and seeing it from the air makes me appreciate the city and area even more. I love the way we can see how old and new architecture interacts. Thanks for the comment on the Thai Airways First Class entry... as you know, there are hundreds flight reports such as these, so all I can do is in my own way, with my personal opinion. Whether I'm right in my way of figuring out things or not, I have no idea. As always, I'm always open to hear other opinions and perhaps learn something new from others. Thai Airways is near to my heart, and will always be. But I will always try to be as objective as I possibly can, and express my honest opinions with a personal touch. I heard about the aircraft changes that affected you from a Thai aviation forum about a week before you heard of it... didn't want to disappoint you so I let Thai do it themselves. Once again, all the best for your onward voyages and please prepare my country as much as you can, I will probably land just as the sun rises (I hope). Often when replying to things on my i-Pad I end up with one continuous long paragraph, so I’ll just stick to a few comments here! That aircraft change was no problem at all (I have had the Business class experience on an A380 with Thai previously.). The 777-300 was in a 1-2-1 config, so the aisle seat which the (not Thai AIrways) check in person at LHR was so apologetic about turned out to be the one person per side-row where the side table is at the window. As you commented somewhere before, the only disadvantage would be if you were trying to take photos from the window. I don’t know if they managed to fit everyone in. I’d imagined they might have to cope with Royal Silk service to a row of seats in economy! I suppose the most disappointed people would be those who had booked Royal First as there isn’t that class of accommodation on the 777. PS: New updates on the website... over the past few days. Comment on the luggage blog update. One word ...LIGHT! I’ve still aching leg muscles from struggling with D’s concept of packing and Hand Luggage on the recent cruise. Actually took the tourist boat to Tha Maharaj today ...- not quite such a jump and rapid docking and off again as my usual orange flag choice!